An independent analysis conducted by researchers at the Rutgers Center for Tobacco Studies and Rutgers Robert Wood Johnson Medical School found the University of North Carolina at Chapel Hill to be the third most prolific producer of scientific publications about electronic cigarettes. The study also named Dr. Kurt Ribisl, professor and chair of health behavior at the university of North Carolina Gillings School of Global Public Health, one of the most prolific e-cigarette scientists. Study findings, “Bibliometric Analysis of Electronic Cigarette Publications: 2003-2018,” were published Jan. 24 in the International Journal of Environmental Research and Public Health. 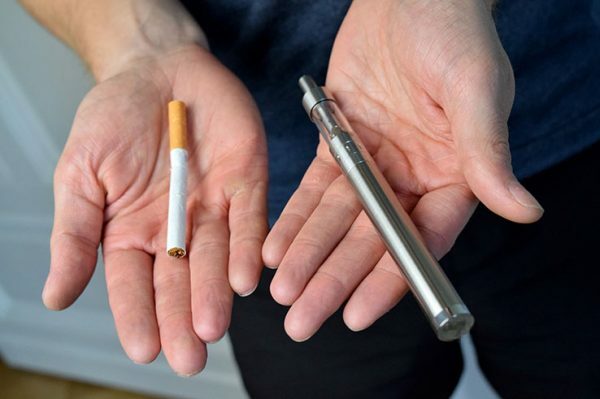 Dr. Ribisl noted that, as a doctoral student at the UNC Gillings School, 2014 alumna Dr. Jessica Pepper conducted one of the first dissertations on e-cigarettes and also was recognized as one of the most prolific e-cigarette researchers. Ms. Amanda Kong, Dr. Joseph Lee, now assistant professor of health education and promotion at East Carolina University, Dr. Allison Myers, now director of the Oregon State University Center for Health Innovation, Ms. Elizabeth Orlan and Mr. Andrew Seidenberg. Other collaborators at UNC have included Dr. Allison Lazard, assistant professor, and Dr. Seth Noar, professor, both in the UNC School of Media and Journalism; and Dr. Adam Goldstein, professor of family medicine in the UNC School of Medicine, and Dr. Rebecca Williams, of UNC Lineberger. The University of California at San Francisco, with 145 publications, or 3 percent of the total scholarly articles on the topic, was found to the most prolific institution during the study period. Johns Hopkins Bloomberg School of Public Health was second most prolific, with 92 publications and 2 percent of the total. UNC-Chapel Hill also produced 2 percent of the total, but had one fewer publication, at 91. February 8, 2019 "Register Today for the 2019 Undergraduate Public Health and Global Health Education Summit" February 8, 2019 "Rutgers Study Finds That a Mother’s Age, Race, Weight Affect Hormone Concentrations in Pregnancy"